If you are interested in a puppy, please let us know as soon as possible! 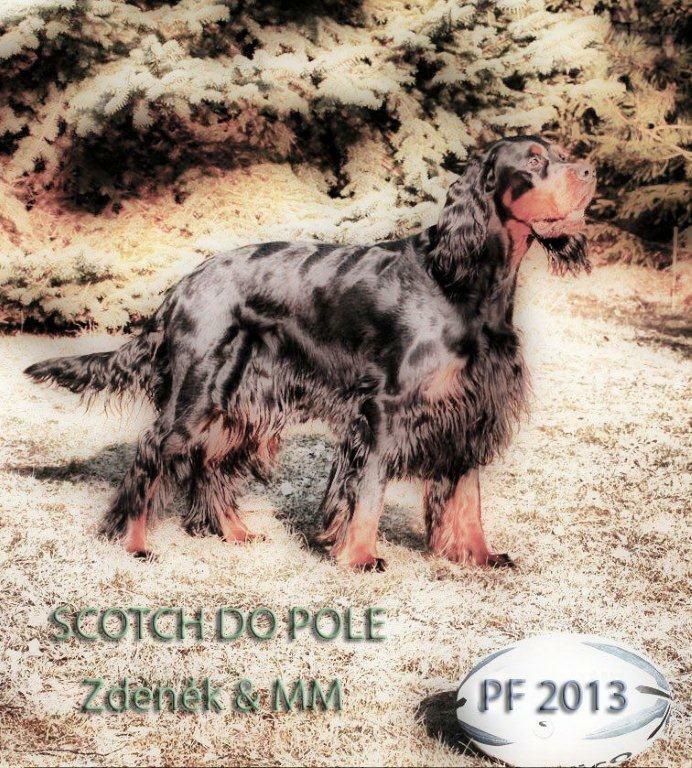 If you are interested in our puppies, please contact us as soon as possible on our e-mail address: scotchdopole@centrum.cz. Puppies will go to their new homes on the end of May. During last night (between 1:40 and 4:40 o´clock) were born ten beautiful and healthy puppies. Seven girls and three boys were born without any problems or complications. Birth weight of puppies were between 400 and 450 grams. Today was 60th day of Maria Matilde´s pregnancy. Puppies and their mother are all in excellent condition. Happy and healthy, in a near future mother Maria Matilde enjoyed today´s winter day. Today is 34th day of her pregnancy. Her condition is perfect. * 7.11.2008 Ludstar Kingdom x Sarmando Dream Erica HD A/A ED 0/0 fullteeth ... scissor bite ... dark eyes ... 63 cm . Czech pointer and setter club working trial: I.prize, title CACT . At dog shows many times "Excellent", many times CAC, many times National Winner, many times CACIB, Prague´s Winner, Special Show Winner, many times BOB, at official national competition Dog of the Year 2010 in FCI Group VII. second place and third place in 2011 ... Czech Junior Champion ... Czech Champion ... Czech Grandchampion ... Austrian Champion ... Interchampion C.I.B..
* 16.4.2010 Laurelhach Moviestar x Showpoint Blackmagicwoman HD A/A ED 0/0 ... fullteeth ... scissor bite ... dark eyes ... 68 cm . Dog imported from Finland, living in Italy ... At dog shows many times "Excellent", many times CAC, many times CACIB, many times BOB ... Junior World Winner 2011 ... Italian Champion ... Interchampion C.I.E..
Twentyfirst day of potrential pregnancy. Its not in my power to wait for a longer time, so we go to vet. Ultrasound examination shows "they are there"! MM will be a mother. Litter of puppies we can expect in the second half of March. After whole night traveling by car in hard winter weather we came with Martin and of course Maria Matilde to very nice Italian town Castellarano, where lives Daniela Ferrari and Davide Ruozzi with their dogs. MM and Chaos are both cool and everything was as it should, without any problems. On Friday first mating and second one on Saturday. MM´s season just started. We confirm everything with the owners of stud dog. After one week we went to the examination of progesteron level. Our vet suggested to come again January 17th. The result of second examination is clear, now is the right time !! !